This morning I was up texting with my son around 4:30 am as he finished packing the last of his things to relocate and move today. He is moving to one of our old 'stomping grounds' in Northern Minnesota, where we lived when he was young. Just for kicks, I looked up the current temperature. -20. That is 20 degrees below zero. The wind is blowing so the temperature with the wind chill factored in is -40. Although I loved our years in Minnesota, I do not miss the long, freezing winters. 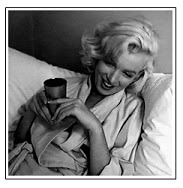 Although, it was because of those long, cold, freezing winters that I learned to drink and love coffee! With deathly low temperatures on my mind, coupled with me awake, sipping hot, strong, black coffee; I suddenly started to think about spiced coffee. Thus, this post is born! Originally, it's believed spiced coffee originated as a way to make coffee taste better. Now, we have excellent quality available to us and we don't need to make it taste better, but a better quality coffee makes a better tasting spiced coffee drink to enjoy! There are variations to the basic spiced coffee and it can go under a few different names (Brazilian, Moroccan, Mexican), but the general idea is a strong coffee or espresso flavored with cinnamon, nutmeg, cayenne or black pepper and cream. Many also use cardamom, but not all; and that is a regional or cultural ingredient as well as the type of 'pepper' used - if at all. 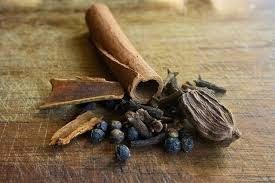 If you are using dry spices and flavorings (especially ground cinnamon) to add to your already brewed coffee: you will want to mix all the dry ingredients together before adding it to the liquid as individual ingredients such as ground cinnamon (!!) does not mix well and will float and clump. Combining ground cinnamon with a powdered creamer, powdered sugar, cocoa or other dry ingredients helps it to blend easy. 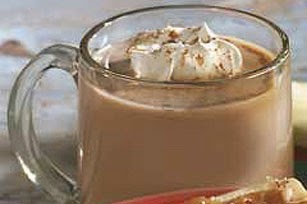 If you want to add cinnamon by itself to a hot liquid you will want to 'whisk' it; which is hard in a coffee mug. Actually grinding the spices together in a coffee or spice grinder will result in a better flavor, and for pour over style or French Press coffee the spices will be equally distributed and easily disperse and impart their flavors to the ground beans. The first recipe is just a very generally used powdered mix to make spiced coffee quickly and easily, the no fuss way. If you want to try leaving the cayenne out you can, but it's a very, very small amount and adds just a touch of spicy hot to the sweet of the cream and sugar. I will post a version that uses black peppercorns instead below. Here is one from Kraft - but I would like to say I personally don't buy or eat Cool Whip topping and would prefer readers use a fresh, real whipped heavy cream. The flavor will be worth it but here is their recipe without tweaking. PLACE coffee and chocolate in heavy saucepan; cook on very low heat until chocolate is melted and mixture is well blended, stirring constantly with wire whisk. STIR in sugar and cinnamon. Bring to boil on medium heat; cook until sugar is dissolved, stirring constantly. Gradually add milk and vanilla, stirring until well blended. Cook until heated through, stirring occasionally. POUR into 4 large cups or mugs. Top with whipped topping. Garnish with a light sprinkling of additional cinnamon, if desired. I love this one because it opts to use cardamom (remember; I'm Swedish! Ha ha) and it uses coconut milk, dates to sweeten, as well as a vanilla protein powder instead of non-dairy creamer. We don't regularly buy cow's milk - but use almond and coconut milk, which this one uses as well. I like that. Brew your coffee with the cinnamon, nutmeg and cardamom. Blend coffee, coconut milk, dates and protein powder in a high speed blender until smooth. Fresh/dried dates don't melt like sugar obviously, so they need hot coffee to help 'melt' them. *Dates, pitted 1 pound equals 2 1/2 cups sugar. Date sugar can be substituted 1:1 for sugar but adjust according to your own taste. Here is the one I mentioned above - the one that uses black peppercorns instead of cayenne. I love this one because it uses real ingredients; not the powdered version of creamer - and is brewed together - not mixed into pre-brewed coffee. Combine the spices and roughly 3/4 c coffee beans in a grinder. Brew the coffee and spices in your coffee brewer or place the spices in a coffee filter for a pour-over version; or brew in a 4 cup French Press. After brewing, add hot milk (you can quickly microwave a cup of hot milk to heat it - don't boil it) and add sweetener or sugar of your choice to taste. This afternoon's coffee was enjoyed while looking through Amazon at vintage prints. One click lead to another and I found myself looking at vintage 'coffee' themed paper. Nice enough to frame, thick enough to use in scrapbooking, or a very nice wrapping paper for a coffee loving gift recipient. Of course I had to feature it on Coffee Talking! "It so much prettier than the picture and pretty good size too." This is a little pricey and it actually was just an 'add on' item I saw on the page when I was looking for vintage coffee themed paper... but it's so cute! Ribbon with small coffee beans and the word "coffee" on it - perfect to tie off a coffee themed gift or gift basket! This morning as I sipped my coffee, breathed deeply and looked out my office window to the woods beyond, I (for whatever reason) thought of my childhood visits to my maternal Grandmother's home. Funny I don't think of it as my Grandpa's house - although he was still very much alive then too! No, as a tiny child, my memories find Grandma at the house, in the kitchen; either cooking the next meal or sitting at the table with my mother and at least one of my Aunts, drinking coffee with a small plate of something sweet set in front of them. She often made cinnamon rolls, but just as often it would be sugar wafer cookies, Dutch Windmill Cookies or pastries. My Grandpa was usually at the feed store; the jungle gym of my toddler and preschool days as I climbed like little 2 foot tall monkey over 15 foot walls made of bags of animal feed. He owned and operated the local feed store in a tiny Midwestern town about as big as a postage stamp. The feed store - where the town's men would gather and smoke their cigars or cigarettes, drink coffee continuously and snack on the Dutch Windmill Cookies or raspberry pastries that were always and forever on hand. On my Mother's side of the family, adults drinking coffee and snacking on something sweet is engrained in my memories.... Now that I am an adult I can understand part of it is a love of coffee, another part, the gathering of friends together to talk, pass the time and catch up on the 'goings-on' of the area, another part however, may be our Swedish heritage. I saw this book on Amazon this morning about 20 minutes after thinking about my Swedish Grandparents and remembering the constant aroma of coffee and cookies at their home and in the feed store. I don't own it (yet?) but I thought I'd pass the link along to readers interested. Sweden is one of the world’s top coffee consuming nations, and the twice-daily social coffee break known as fika is a cherished custom. Fika can be had alone or in groups, indoors or outdoors, while traveling or at home. A time to take a rest from work and chat with friends or colleagues over a cup and a sweet treat, fika reflects the Swedish ideal of slowing down to appreciate life’s small joys. In this adorable illustrated cookbook, Anna Brones and Johanna Kindvall share nearly fifty classic recipes from their motherland—from cinnamon buns and ginger snaps to rhubarb cordial and rye bread—allowing all of us to enjoy this charming tradition regardless of where we live. Recycling your used coffee grounds... to grow mushrooms! Cultivating oyster mushrooms on spent coffee grounds is a simple and enjoyable home activity for all ages, resulting in some good edible mushrooms to boot. If your home brewing doesn’t provide enough grounds, try asking your local coffee shop or roaster if you can leave a bucket for them to toss their grounds into, especially if they would otherwise go into the trash. If you’re not able to inoculate your grounds with spawn right away, freeze them until you’re ready to do so; otherwise molds will form within days. Although the yields you’ll get from this method are not as high as when you use commercial oyster mushroom formulas, such as pasteurized wheat straw or cotton waste, if you factor in the production costs, the lower-yield coffee grounds method becomes as economically viable as the more sophisticated cultivation. To begin, you’ll need a container with a lid, a steady supply of coffee grounds (with or without paper filters), and grain- or sawdust-based oyster mushroom spawn. Step 1. Carefully collect the cooled and spent coffee filter, grounds and all, and place it into the container faceup. If using a press or strainer just add the grounds to your container once they are drained well. Step 2. Massage your mushroom spawn bag to separate the grain or sawdust into individual bits to maximize the spreading capability. Step 3. Sprinkle the mushroom spawn sparingly over the surface of the coffee grounds. You only need a small amount. Crack the container lid so it can breathe. The container can be located anywhere, such as a kitchen counter, garage, or any other space where there is indirect light, never direct sun. Step 4. Add coffee grounds and filters daily, sprinkling spawn sparingly over each layer as you add more. After just a few days, mycelium will start to be visible as white threads growing together. Step 5. Fill the container almost to the top, leaving just a few inches of space to make room for developing mushrooms. When you stop adding filters and coffee, the mycelium will finish colonizing. Step 6. Once the container is completely colonized, expose it to diffuse natural or fluorescent light at room temperature. (If it gets direct sunlight the mycelium and mushrooms will dry up and you won’t get a harvest!) Keep the surface misted lightly and the lid just cracked, to preserve moisture. If you have filled a 5-gallon bucket or similar large container, you can drill 1/2-inch holes around the sides, every 10 inches or so, where the mushrooms can also emerge, but you will need to either mist the holes several times a day indoors or cover the container with a large, clear bag to make a humidity tent until the primordia have safely emerged and are no longer at risk of drying out. Step 7. Two to three weeks after the colonization is complete, mushrooms should begin to form. Remember that mushrooms only form when they run out of food or space, at which point they recharge their battery and fruit. Baby mushrooms will appear overnight, so check your buckets at least once a day and keep the surface misted, though not underwater. The mushrooms should double in size every day. Harvest them when the fruitbodies’ growth slows. You may notice a powdery spore deposit forming underneath the caps when they are ready to harvest. Step 8. After you’ve harvested the mushrooms, allow the mycelium to rest by not watering or adding any additional growing media, and it may fruit again in a few weeks. During the rest period no light is needed if you need to move the container. Soaking the coffee grounds with a generous amount of water after a few weeks of resting can help shock the mycelium into fruiting more prolifically. Once rehydrated, the biomass will respond with additional fruitings. Step 9. After the second flush, your coffee grounds substrate will be pretty much spent as a mushroom growing medium. However, being full of fungal life, it has now become a living compost starter and can be mixed into your outdoor compost pile to help with the decomposition, or you can use it to inoculate cardboard cultures. Worms also love this spent media, so adding the grounds to your vermicomposting bin could possibly start a worm revolution. Tradd Cotter is a microbiologist, professional mycologist, and organic gardener, who has been tissue culturing, collecting native fungi in the Southeast, and cultivating both commercially and experimentally for more than twenty-two years. In 1996, he founded Mushroom Mountain, which he owns and operates with his wife, Olga, to explore applications for mushrooms in various industries and currently maintains over 200 species of fungi for food production, mycoremediation of environmental pollutants, and natural alternatives to chemical pesticides. His primary interest is in low-tech and no-tech cultivation strategies so that anyone can grow mushrooms on just about anything, anywhere in the world. Mushroom Mountain is currently expanding to 42,000 square feet of laboratory and research space near Greenville, South Carolina, to accommodate commercial production, as well as mycoremediation projects. Tradd, Olga, and their daughter, Heidi, live in Liberty, South Carolina. This morning I came to the computer right after brewing a cup of coffee (of course) and sitting on the counter was our old standby coffee grinder. Glancing at it, therein lies the basis of this mornings post. Coffee grinders. And why Hamilton Beach only? First, because the coffee grinder currently on the counter is a Hamilton Beach brand but secondly, because many of our small kitchen appliances are this brand and it's one I've used since I was first married and bought a small $9 hand mixer that lasted through incredibly heavy use before finally burning out. It's a brand that isn't always the highest quality, but it's decent quality at an affordable price. All these links are through Amazon - which I found this morning so the prices listed are current as of today. Listed at $9.99 plus $5.49 to ship - this is an affordable, basic, grinder. Easy to use with just one button, you don't have to decide which grind to use. It does a basic grind and you are good to go. One feature I love about the Hamilton Beach ginders is the retractable cord. The base hides the cord so you can store it or if you keep it on the counter, you can shorten the cord so it doesn't lay coiled all over the counter top. This grinder does not come with any cleaning brushes but a wipe down with a paper towel is all it takes. $13.46 plus shipping so it's another extremely affordable option for a basic grinder. I'm going to post what their description says of it but I honestly don't know how quiet it is as we do not own this one. This is one step above the $10 version in that it has a removable grinding chamber. I like that because on the other basic model, you have to turn the grinder upside down to dump the grinds in the cup to remove and use. This style, you can remove the cup without turning the machine upside down. At $20.49 this one is still a decent priced model and it's similar to the one we have in our house that my daughter bought while she was in college. It has a few more bells and whistles than the $10 model. You can choose the grind you want or need as well as the cup size. Picking up this version for about $22.00 is a grinder that looks like it's a little more expensive than it is. Again, it's one of the grinders you just push the button and it stops grinding when it's reached the grind and settings you chose. Note that on this model it seems reviewers caution against overloading it (some beans will be left unground) and be aware that like the other automatic shut off models, the cup needs to be clicked into place securely for it to turn on (as a safety measure).